The readers of USA Today recently chose the Okanagan as one of the world’s best wine-touring regions. I have no doubt that some, if not all, of those who voted have spent time on the Naramata Bench. There they would have found a concentration of wineries offering very good wines, often excellent food, and always great views. Several wineries even offer bed and breakfast accommodation. The tasting notes below were collecting during several recent visits to the bench. Before the summer is out, there will be another collection of reviews. Will I get around to them all? Not likely. I estimate there are about 500 wines to taste from Penticton to the Chute Lake turnoff. I would be surprised if there were a poor one. Here are the latest notes. They cover tastings at Bench 1771, Hillside, Lake Breeze, Perseus, Red Rooster and Ruby Blues. Bench 1775 Winery Chill 2013 ($16.90 for 1,130 cases). This crisp and refreshing white is Pinot Gris 46%, Chardonnay 25%, Sauvignon Blanc 11%, Viognier 6%, Semillon 6% and Gewurztraminer 6%. It has citrus aromas with flavours of lemon, lime and apples. There is an herbal spice on the dry finish. 90. Bench 1775 Winery Pinot Gris 2013 ($17.90 for 600 cases). This wine appeals with its aromas of pear and quince and flavours of tropical fruit, including lychee on the mid-palate. The finish is crisp and tangy, making for a refreshing wine. 91. Bench 1775 Winery Gewürztraminer 2013 ($19.90 for 280 cases). This is a classic, with an aroma of spice and lychees and flavours of lychee and grapefruit. The finish is crisply dry. 90. Bench 1775 Winery Sauvignon Blanc 2013 ($17.90 for 465 cases). This is a tangy, zesty Sauvignon Blanc recalling its New Zealand cousins. There are aromas of lime and grapefruit that are repeating on the palate. 90. Bench 1775 Winery Chardonnay 2012 ($18.90 for 900 cases). This is a refreshing unoaked Chardonnay, with aromas and flavours of apples, peaches and limes. The good texture reflects the impact of lees stirring while the wine was in tank. The bright acidity gives it a Chablis-like crispness. 88. Bench 1775 Winery Glow 2013 ($19.90 for 367 cases). This is one of the Okanagan’s best dry rosé wines from the 2013 vintage. It is 48%Malbec, 26% Merlot, 14% Syrah and 11% Cabernet Sauvignon. The grapes were picked and kept cool under dry ice and were pressed within an hour of being picked. The hue does indeed have an orange glow. The wine has delicate strawberry aromas with flavours of strawberry and grapefruit. There is an herbal note to dry finish. 92. Bench 1775 Winery Groove 2012 ($17.90 for 1,250 cases). This is 65% Cabernet Sauvignon, 23% Merlot, 7% Malbec and 5% Syrah. Eighty percent of this wine was matured in stainless steel, only 20% in barrel. The result is a bright, juicy and quaffable red, with aromas and flavours of cherries and other red fruit and with spice on the finish. 89. Hillside Winery Pinot Gris Reserve 2012 ($23.99 for 364 cases). Winemaker Kathy Malone builds complexity into the reserve Pinot Gris by fermenting almost half in Hungarian oak. The wine is left on the lees for five months and the lees are stirred regularly. As a result, the wine has a luscious, creamy texture with aromas and flavours of pears and apples. 91. Hillside Winery Unoaked Pinot Gris 2013 ($19.99 for 877 cases). For those who prefer a less cerebral Pinot Gris, this is a delicious wine with a slightly pink hue. The texture is juicy with favours of citrus and fresh apples. 90. Hillside Winery Pinot Noir 2011 ($21.73 for 233 cases). Here is a bold Pinot Noir from Naramata Bench fruit, delivering aromas and flavours of spicy cherries. The texture is juicy. 90. Hillside Winery Mosaic 2009 ($40 for 499 cases). This is Hillside’s flagship Bordeaux blend – 55% Merlot, 22% Cabernet Sauvignon, 9% each of Cabernet Franc and Malbec and 5% of Petit Verdot. It is a point of pride that every vintage of Mosaic since 2006 has been made entirely of Naramata Bench fruit. The wines arguably are more vibrant and brighter that Bordeaux blends from the south Okanagan. 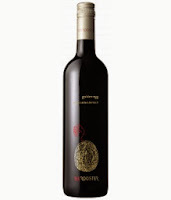 This is a firm, age-worthy red with flavours of black currant, coffee, chocolate and liquorice. 93. Lake Breeze Pinot Blanc 2013 ($19). Made with fruit from old vines, this is the wine that defines British Columbia Pinot Blanc. It begins with appealing aromas of apples and honeydew melons. On the palate, there are flavours of apples and citrus, with a spine of fresh acidity and minerals. 91. Lake Breeze Pinot Gris 2013 ($19). This is a juicy wine with mouth-filling flavours of pear and peach. This is a hint of spice on the tangy finish. 90. Lake Breeze Ehrenfelser 2013 ($19). This off-dry white begins with floral and citrus aromas. On the palate, it is a bowl of tropical fruit – peach, apricot, mango, lychee. 88. Lake Breeze Sémillon 2013 ($19). This delicious white begins with aromas of lime and herbs. The herbal and lime flavours are intense, giving good weight to the palate. The finish is crisp. 90. Lake Breeze Winemaker Series Windfall 2013 ($19). This is a complex blend of four white varietals. It begins with aromas of peach, apricot and tangerine. It delivers flavours of tangerine, papaya and guava with the impression of caramel even though this is a dry wine. 90. Lake Breeze Seven Poplars Sauvignon Blanc 2013 ($22). This vibrant, zesty wine has aromas of lime and lemons which are repeated on the tangy palate. A fine skein of minerality gives it a backbone that supports the long finish. 90. Perseus Pinot Blanc 2013 ($16). Crisp and refreshing, the wine has aromas and flavours of tangy green apples, with a note of citrus. 88. Perseus Pinot Gris 2013 ($16.90). This is a juicy wine with tropical fruit aromas and with flavours of pears and apples. 89. Perseus Viognier 2013 ($17.90). Made from Osoyoos grapes, this a ripe Viognier with a fleshy texture, with aromas and flavours of apricots and with a spine of minerality. Even with the texture, the wine finishes dry. 88. Perseus Viognier Special Lots 2013 ($25). This unctuous Viognier, made with grapes from vineyards on Black Sage Road and the Similkameen, has fresh, fruity flavours of peaches and apricots. This satisfying wine has a lingering finish. 90. Perseus Chardonnay 2012 Special Lots ($25). Most of the grapes in this wine are from the exceptional Anarchist Mountain vineyard at Osoyoos. The wine, unapologetically oaked, has aromas and flavours of tangerine and is rich on the palate. 89. Perseus Syrah 2012 ($19.90). Made with grapes from a Skaha Lake bench vineyard, this wine has aromas and flavours of plum and black cherry, with notes of black pepper. 89. Perseus Merlot 2012 ($19.90). The grapes for this big, ripe Merlot comes from the Blind Creek vineyard in the Similkameen. The wine begins with aromas of blueberry and cassis, leading to juicy flavours of black currants and cherry. 90. Perseus Cabernet Shiraz 2012 ($19.90). The blend is 48% Shiraz, 42% Cabernet Sauvignon and 10% Cabernet Franc. The wine is still firm and benefits from decanting if you don’t have the patience to cellar it. There are aromas and flavours of black currant and plum, with a touch of pepper and with notes of cedar on the finish. 89. Perseus Invictus 2011 Select Lots ($32.99 for 300 cases). This is the winery’s flagship Bordeaux blend. It is 40% Merlot, 21% Malbec, 18% Petit Verdot, 11% Cabernet Sauvignon and 10% Cabernet Franc. There is an appealing new oak in both the aroma and the palate, along a whiff of violets and with flavours of black currant and black cherry. There is also a touch of graphite on the finish. This clearly is a wine meant for cellaring. 91. Perseus Cabernet Sauvignon 2011 Select Lots ($50). The grapes here are from the most famous Cabernet Sauvignon block in the Okanagan – the U2 block at Inkameep Vineyards. This is a wine with a long life ahead of it, allowing the black currant and raspberry flavours to meld with the vanilla, cloves and leather notes here. 91. Red Rooster Riesling Classic 2012 ($16.99). A portion of this wine was fermented in one of three recently-acquired 600-litre concrete eggs, enhancing its texture, before being blend with the remainder, which was fermented in stainless steel. The wine has developed a touch of petrol. While it is dry, the texture leaves the impression of honeyed flavours of grapefruit. 90. Red Rooster Bantam 2012 ($14.99). This is winemaker Karen Gillis’s favourite wine to make, likely because the blend is so complex: 27% Pinot Auxerrois, 22% Pinot Gris, 17% Chardonnay, 17% Riesling, 10% Viognier and 7% Sauvignon Blanc. The wine impresses with tropical fruit aromas and flavours, along with juicy peaches and crisp apples. 89. Red Rooster Viognier Reserve 2013 ($21.99 for 317 cases). This wine is available only at the winery. It is well worth the stop. The wine begins with floral and fruity aromas of apricot, pear and peach. On the rich palate, there are flavours of apricot and peach, with a lingering finish of tangerine and strawberry. 91. Red Rooster Rosé Reserve 2013 ($21.99 for 480 cases). Here is another complex blend - 35% Malbec, 27% Cabernet Franc, 15% Syrah, 8% Mourvedre, 7% Petit Verdot, 3% Pinot Noir and 3% Grenache. It was made by bleeding juice from tanks of pressed red varietals. The wine delivers aromas and flavours of strawberry and cherry, with the dry finish of a Provence rosé. 89. Red Rooster Merlot Classic 2011 ($18.99). Here is a Merlot designed for easy drinking, having been aged around 12 months in older barrels, mostly American. There are aromas and flavours of black currant and blueberry. The texture is still firm and the winery recommends decanting it for immediate drinking. 88. Red Rooster Merlot Reserve 2010 ($29.99 for 494 cases). This wine has had 14 to 16 months in oak barrels. It begins with aromas of cassis and cherry. On the palate, the bright fruit flavours display notes of cherry and lingonberry, with a spicy finish. Available only at the winery. 90. Red Rooster Pinot Noir Reserve 2011 ($24.99 for 478 cases). The nine months this spent in newer French oak comes through with the toasty aromas, along with strawberry and spice. On the palate, the bright fruit flavours include cherry, strawberry and red currant. The silky tannins add to the appeal of this pretty wine. 90. Red Rooster Syrah Reserve 2011 ($29.99 for 476 cases). Available only at the winery, this bold red is made mostly with Similkameen grapes. The wine has spent 14 months in barrel, developing typically gamey aromas recalling bacon fat and delicatessen spices. The wine has big meaty flavours, along with plums, black cherry and spice, along with a hint of white pepper. 90. Red Rooster Golden Egg 2011 ($49.99). Always made in a limited quantity – three barrels in this vintage – this is Grenache/Syrah/Mourvedre blend. The wine shows a lovely core of brambly fruit – blackberries, blueberries, black and red currants, with appealing aromas of violets and red fruit. The firm texture indicates the wine has the ability to age. 93. Ruby Blues Commune Series Pinot Gris 2013 ($20). The bus on the label signifies that the grapes came from several neighbouring vineyards. The winery is calling these “commune series” wines. Clearly, these are good growers. The wine has juicy, mouthfilling flavours of pear and peach. 90. Ruby Blues Commune Series Viognier 2013 ($25). This wine won a Lieutenant Governor’s Award. It is fresh and vibrant, with aromas and flavours of peaches, pineapples and apricots. 92. Ruby Blues Commune Series Gewurztraminer 2013 ($20). Intense and expressive, this wine announces itself with a spicy aroma, leading to flavours of grapefruit and lychee. 90. Ruby Blues White Stiletto 2013 ($20). This is a blend of Chardonnay, Pinot Blanc, Pinot Gris and Gewürztraminer. An appealing aromatic white, it has flavours of apples, guava, mango and pear. 90. Ruby Blues Strawberry Heels Rosé 2013 ($25). This was made entirely with Pinot Noir that was allowed a long cold soak. The hue is vibrant. There are aromas and flavours of strawberry and cherry, with a crisp, dry finish. 90. Ruby Blues Red Stiletto N.V. ($25). This unusual blend is anchored on Syrah, with Pinot Meunier, Pinot Noir, Cabernet Sauvignon and Merlot. The wine is eminently soft and drinkable, with black cherry flavours and black pepper on the finish. 90. Ruby Blues Merlot Cabernet 2009 ($30). There are not too many of the splendid 2009 reds left in the market. This is a typically big, ripe red with good concentration. There are aromas of black currants and blueberries, leading to flavours of black cherry and black currants. 90-91.